The “Arctic Discovery” float in the Historical Pageant, Ottawa, July 1927. 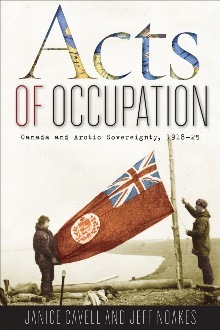 Historical pageants formed part of Canada’s diamond jubilee celebrations in July 1927, and included the stories of European explorers and settlers. While the primary focus was on early European arrival and exploration, one of the floats in Ottawa told the story of “Arctic Discovery,” and carried Captain Joseph-Elzéar Bernier as a visible symbol of these events. Here a crowd watches the float, complete with fur-clad passengers, roll down an Ottawa street. This seemed like an image with appropriate historical ties to July 1st. Happy Canada Day! 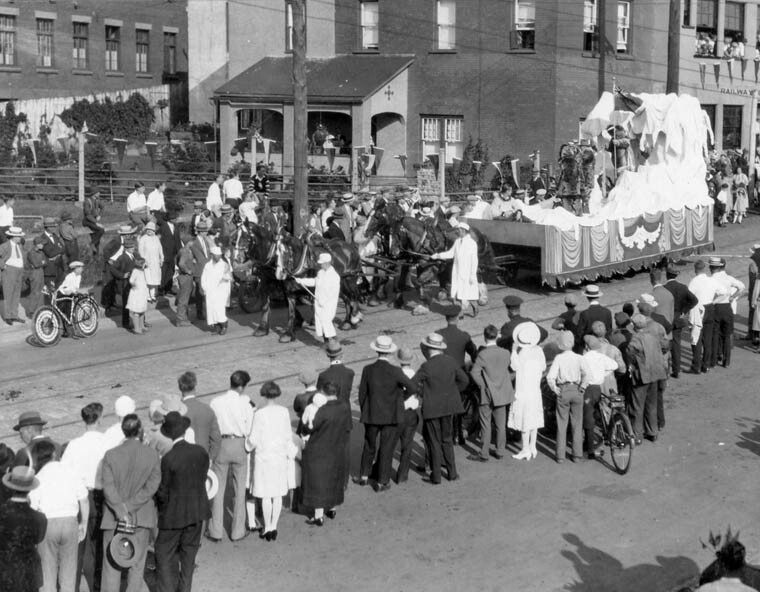 “The Bernier float in the Historical Pageant,” July 1927.